Established in December 2007 by the Swiss and South African governments to promote scientific and technological cooperation between Switzerland and South Africa, the Swiss South African Joint Research Programme (SSAJRP) rests on the principles of mutual interest, scientific excellence, and reciprocity. In the first phase of the project (2008-2012) five funding schemes were available: Joint Research Projects (JRPs), faculty exchanges, student exchanges, seed money and bio venture workshops. A total of 16 JRPs in the fields of Public Health & Biomedicine (8 projects), Bio- and Nanotechnologies (4 projects) and Humanities and Social Sciences (4 projects) were funded by the programme. During the second phase (2013-2017) the JRP funding scheme is also available for the second period of the SSAJRP. Applicants must reside in South Africa and be employed researchers at a recognised higher education or research institution such as a university, university of technology, national facility, museum or science council. Applications must designate the primary Swiss counterpart in collaboration with who joint research or networking is to be undertaken. The Principal Investigators will bear responsibility for the project, including its technical and administrative coordination as well as scientific and financial reporting. Applicants should be in possession of at least a Masters degree (preferably PhD) in order to apply under this programme. The application should not be submitted through an industry/business partner. 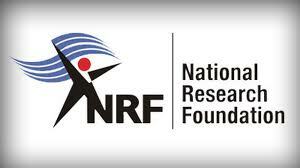 All applications must be directed through the research office or the NRF Designated Authority. Only one application per applicant will be accommodated. Any incomplete application will be automatically disqualified. The industry partner under this programme for the SA applicant must be affiliated to a registered South African company. Relevant business, registration or financials of the industry partner may be requested at any time. Applications should reflect ambitious research outlines, designed to create synergies across disciplinary borders and between the private and public sectors. Eligible proposers are Swiss citizens or permanent residents of Switzerland holding a PhD degree or more. Applicants who may choose to involve industry in their project are requested to describe how matching funds or services from South African and Swiss partners will be generated through public or private sources during the project duration. Application submission does not guarantee funding since funding will depend on evaluation and availability of funds. Cooperation is based on mutual interest, scientific excellence and reciprocity (matching funds). In South Africa, SSAJRP is governed by the Department of Science and Technology (DST) and coordinated by the Council of Scientific and Industrial Research (CSIR). On the Swiss side, SSAJRP is administrated by SERI. The University of Basel, as the Swiss Leading House for South Africa, and the Swiss Tropical and Public Health Institute, as the Associated Leading House, jointly assume coordination and management responsibilities. For detailed information, visit the official section on Joint Research Projects. The first phase lasted between 2008-2012; while the second phase will last between 2013-2017. SSAJRP is jointly funded by Switzerland and South Africa. In Switzerland for the period 2008-2011, a total of CHF 6.85 Mio was made available by SER and an according amount on the South African side by DST. SSAJRP aims to strengthen existing research partnerships, aid the formation of new scientific networks and support knowledge transfer and innovation in Switzerland and South Africa. The programme's funding instruments have been implemented to support both established researchers and young early career scientists. Faculty & Student Exchanges: SSAJRP supports young and established scientists through faculty & student exchanges. Faculty and student exchange grants promote knowledge transfer between Switzerland and South Africa by facilitating the establishment of cross-country cooperation partnerships and networks. In addition, the grants enhance the personal development and future career prospects of students and early-stage scientists. Academia - Industry Initiatives: Initiatives in this science-to-market phase contribute to strengthening links and cooperation between academia and the biotechnology industries of South Africa and Switzerland. Further Funding Programmes: Includes the COST programme, ESKAS programme, SNSF programme, and the GLOBAL SOUTH SCHOLAR-IN-RESIDENCE programme. If you are interested and want to apply, then you will need to contact the providers through the contact addresses that have been provided below. For deadlines, please contact providers through specified contact addresses below. The Swiss South Africa Joint Research Programme (SSAJRP) has been promoting scientific and technological cooperation between Switzerland and South Africa since 2008. The programme is one of several bilateral research cooperation programmes organised by the State Secretariat for Education, Research and Innovation (SERI). SSAJRP fosters research partnerships between Swiss and South African scientists through joint research projects. It facilitates university faculty and student exchanges to promote knowledge transfer and innovation in both countries. It also supports industry orientated projects with potential for innovation and generation of market-oriented outputs through a number of Academia – Industry initiatives.